Obamacare Premiums to Rise Almost 25% and Some Consumers Down to One Insurer … What Happened to the $2500 Premium Reduction? HOW THAT “UNAFFORDABLE” AFFORDABLE HEALTH CARE ACT WORKING OUT FOR YOU AMERICA? As stated at Town Hall, just days after Barack Obama gave Obamacare a ringing endorsement, it is now confirmed that consumers will be feeling the wrath of Obamacare premiums rising as much as 25%. 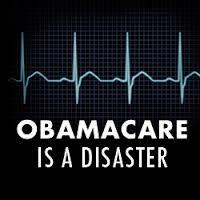 As reported by the AP, as per the administration, Obamacare premiums will go up sharply next year under President Barack Obama’s health care law, and many consumers will be down to just one insurer. According to CNN, the average premium increase masks wide variation among the states. In Arizona, the benchmark plan’s average premium will increase 116% in 2017. Remember this when you go to the polls America. I can’t say we did not warn you and tell you this from day one. You were lied to America by the current president, do we really want 4 more years of Democrat lies? Remember when this liar told you Obamacare would reduce your premiums up to $2500 a year? Premiums will go up sharply next year under President Barack Obama’s health care law, and many consumers will be down to just one insurer, the administration confirmed Monday. That’s sure to stoke another “Obamacare” controversy days before a presidential election. Once again we are witness to more government waste and a system that is too big to succeed. As reported at the WAPO, a recent watchdog review found that at least 6.5 million active Social Security numbers belong to people who are at least 112 years old and likely deceased. CAN YOU SAY FRAUD? The findings of this report was that SSA did not have controls in place to annotate death information on the Numident records of number holders who exceeded maximum reasonable life expectancies and were likely deceased. Come on man, really? Do you know how simple it is with database administration to red flag something like this? Having done data analysis, it is even more simple to write queries that look for such outliers as that is what one does when looking for fraud. Sorry, but one would almost not want to find the fraud to have something like this happen. Senator Ron Johnson (R-WI) who head the Senate committee that oversees the Social Security Administration said the following, “It is incredible that the Social Security Administration in 2015 does not have the technical sophistication to ensure that people they know to be deceased are actually noted as dead.” Ya think? It makes one think, what does our government do to protect tax payers money? Do they just not care? Stuff like this is simple to fix, not difficult. Sadly, we have a government that would just rather raise taxes on workers than fix the obvious fraud. Thousands of workers over the age of 100 applied to verify their employment eligibility through the U.S. government in recent years. It’s not a trend toward an older workforce, but a sign of identity fraud, according to federal auditors. A recent watchdog review found that at least 6.5 million active Social Security numbers belong to people who are at least 112 years old and likely deceased. But only 35 known living individuals worldwide had reached that age as of October 2013, according to the Gerontology Research Group. The Social Security Administration’s inspector general said in a report on Monday that the questionable identification numbers put the government at risk of fraud and waste. The review found that one individual opened bank accounts using Social Security numbers for individuals born in 1869 and 1893. The official database of active Social Security numbers showed that both beneficiaries were alive, meaning they would be older than 145 and 121 years, respectively. Auditors also discovered that nearly 67,000 Social Security numbers in recent years were used to report wages for people other than the cardholders. The workers reported about $3 billion in earnings between 2006 and 2011. 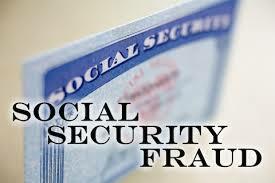 EXIT QUESTION: What are the odds that many of these active social security numbers of people between the age of 121 and 145 is identity theft by illegals? This incompetent and apathetic government can’t handle this type of fraud and yet they want to provide illegals with tax refunds for past work under the guise that they have to prove some type of income, REALLY? REALLY! Johnathan Gruber Apologizes … Rep. Trey Gowdy Grills Gruber: Did You Apologize Because You Said It Or Meant It? How comical is it that they are now trying to make MIT economist Jonathan Gruber look like Sgt. Schultz, I know nothing. Below is Johnathan Gruber’s lame attempt at an apology for his plethera of “stupid” comments. Gruber apologized for making “uninformed and glib comments” about the political process behind health care reform and used the defense he was not a politician. HUH? Now one of the architects of Obamacare is claiming he is not an expert and is using the Sgt. Schultz defense … He knows nothing. “I would like to begin by apologizing sincerely for the offending comments that I made,” Gruber said in prepared remarks before the House Oversight and Government Reform Committee. He said in some cases he made “glib comments” about the process, and said his tone implied he’s an expert on healthcare, “which is wrong.” Gruber acknowledged his “insulting and mean comments” were uncalled for. GRUBERGATE … THE GREAT OBAMACARE HOAX, LIES, LIES AND MORE LIES. Yesterday in Brisbain, Australia Barack Obama finally was asked the question, did you misled the American people with regards to Obamacare. Wouldn’t it have been amazing id he said, YES, you caught me. But, in typical Obama fashion, he denied the allegation and then went off on a tangent explaining away the accusation and never really providing any valid facts to support his denial. All you have done in your six years in office is mislead the American people. President Obama, you have already lied about you can keep your insurance plan and doctor, if you like them … why wouldn’t we think you lied about everything else to pass Obamacare? Ed Henry – Fox News: At you Burma town hall a couple of days ago you tried to inspire young leaders by saying governments need to be held accountable and be responsive to the people. I wonder how you square that with your former adviser Jonathan Gruber claiming that you were not transparent about the health law, because in his words, ‘the American people, the voters, were stupid’ (VIDEO). Did you mislead Americans about the taxes, about keeping your plan, to get the bill passed? Barack Obama: No. I did not. I just heard about this. I get well briefed before I come out here. The fact that some adviser, who never worked on our staff expressed an opinion, that I completely disagree with, in terms of the voters, is no reflection of the process that was run. We had a year long debate Ed. Go back and look at your stories. The one thing we cannot say is that we did not have a lengthy about health care in the United States of America. Or that it was not adequately covered. I would just advise every press outlet here to go back and pull up every clip, every story, and I think it is fair to say that there was not a provision in the health care law that was not extensively debated and fully transparent. First, Obama just heard about this? You mean he can’t remember one of the many meetings with Jonathan Gruber in the White House? Good grief, Obama is using that tired response of he just learned about the issue from the news? Where have we heard that before, maybe in the following VIDEO. Third, read the following quote from Obama, “The fact that some adviser, who never worked on our staff expressed an opinion, that I completely disagree with, in terms of the voters, …” All Obama disagrees with is Gruber’s remark that the American voters are stupid. Obama is not saying that he disagrees with the rest of the misleading comments. Fifth, President Obama, do you really want everyone going back and taking a look at every clip and news account? Look what happened so far by those on the right and bloggers. Seventh, no asked the question whether Obamacare was extensively debated. However, what good is a debate when the premise is based on a lie that is being discussed? On a completely different lie, check out the 2:20 mark of the Obama VIDEO where miraculously Obama comes up with all of these stats for the Healthcare.gov web site now that it is not crashing all the time. Remember last year when Obama minions were asked for the same type of data and we were told they did not have access to it. Yeah Mr. President, Obamacare is working … that is why the majority of Americans have not even been affected by it because you delayed it.